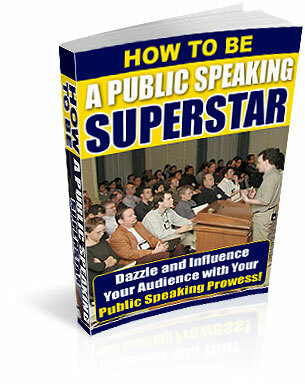 How to Conduct Effective Public Speaking, Presentation Skills & Sales Training - right here! Find out how You can overcome a fear worse than death! "Oh! - I'd rather Die than make a speech!" I'm sure you've often heard that said - and maybe you've often said it yourself. it's still one of the most frightening and nerve-racking things to do 'in public'. PUBLIC SPEAKING and Panic Attacks !!!! - Is that familiar? We want to help you overcome that major fear and help you take advantage of the many opportunities, which present themselves to those who can express themselves in an easy, confident and professional manner. So this is why we have put this very practical manual together. - To help you speak up for yourself in all circumstances, overcome the fear of public speaking and reap the rewards you justly deserve. I really wanted that job, but the interview was a disaster! Do you find that at the very time you should be speaking confidently and well, nerves get the better of you and you either get completely tongue-tied or say all the wrong things and end up like a blubbering, shivering, shaking jelly? Don't worry, - you're not alone - and the solution is right here for you! Whether you are going for that important job interview, or trying to convince the boss that you are the one for the next promotion or pay rise, or maybe you are the boss and dreading having to speak to the staff or the shareholders at the next annual meeting or sales conference, - help is at hand! Are you dreading that 'wedding speech' or are you about to embark on the very lucrative professional after-dinner speaking circuit? - This is for YOU! In this course you'll discover all the hints, tips, and tricks of the trade to enable you to stand up and speak up for yourself at any time. The Talk Tactics eBook or CDrom will help you overcome your fears and anxiety that currently prevent you from 'speaking in public'. Preparing your visual aids, like overheads, pictures, flip charts etc. Enjoy the weekly Sales Meetings - Make them sit up and listen to you. Enjoy the Admiration and Applause! CLAIM YOUR COPY of "EFFECTIVE PUBLIC SPEAKING"
SPEAK WITH CONFIDENCE FROM TODAY! If you think we can help you - please just let us know you're interested.